The release of Grand Theft Auto V on 17th September will no doubt be greeted with great glee by lovers of shoot ’em up games and great distress by people who love to be outraged. I am being a little unfair. While GTA is not the video game equivalent of a chess match there is much more to it than simply blasting your enemies and innocent pedestrians away with an Uzi or AK-47. For example, Grand Theft Auto IV and Tales of Liberty City, the two games in the GTA series with which I am familiar, are brilliant satires on American culture and politics in the post-9/11 world. Actually, I call Grand Theft Auto a very noble work of art. Yes, it is violent; yes, the satire can be very rude and vulgar. 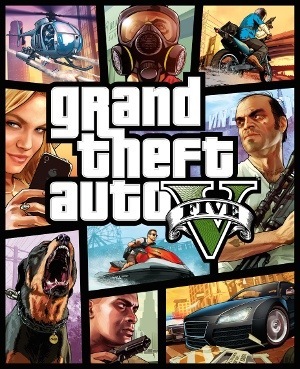 But there is still more to GTA than we have hitherto described. Like all works of art, it implicitly holds up a mirror to our hearts and gives us the opportunity to discover what lies therein. It may be good. It may be bad. Chances are – in common with everyone else – there is a mixture of both within us. The knowledge that we gain from this exercise enables us to correct what is wrong and nurture what is right. I hesitate to use the word ‘redemption’ in this post as it seems far too grand a word for the purpose but there is definitely a sense in which Grand Theft Auto has a redemptive (enabling) quality to it. Now, what has all this to do with Alexander? Sometimes, the question of whether he was really so great comes up. He had too little time for the day-to-day work of a responsible king, drank far too much, murdered a friend, assassinated innocent people, made unnecessary war on others etc etc. In other words, he was a deeply flawed person. But just as Grand Theft Auto‘s redemptive quality comes from what seems to make it an artistic failure, so Alexander’s greatness comes from his apparent failures as a person. After all, if he was perfect in all respects, what would be so great about the way in which he conquered the world and spread Hellenism? Such an achievement would simply be par the course for him. No, it was because he achieved what he did despite being such a flawed person that we call him, rightly, Great. Alexander and the Grand Theft Auto series may be unlikely bedfellows but together they show us that even within ugliness and failure beauty and triumph may be found. All we need to do is be prepared to look for it. That is their connection, and it is a very encouraging one.